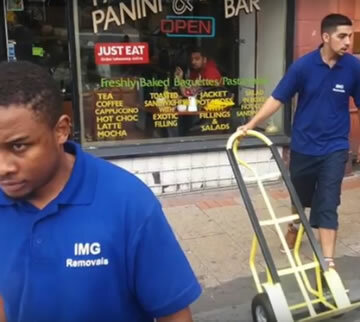 For all your Collection and Delivery Home needs in Birmingham & The West Midlands, make IMG Removals your first choice. We can pick up those bulky items you may purchase online for example on Ebay, Gumtree, or offline purchases from high street retail stores, and deliver them conveniently to your door. Our Man and Van service at IMG Removals is the perfect service if you simply need to move one or more items safely and reliably. As well as taking care with your important belongings you can rest assured you are good hands from start to finish, we are also fully insured with one of the UK’s largest and reputable companies. We provide the same reliable, courteous and professional delivery and collections service to all of our clients and pride ourselves on our excellent customer service and bespoke approach to every job no matter how large or small. Are you looking for a packing service? You shouldn't search any further, because IMG Removals is the hassle-free option near you. For the past couple of years, many have benefited from our experience and have chosen us among other providers offering packing services in Birmingham. So, make sure to count on us whenever you require a combination of professional services and great attitude! Whatever your enquiry or if you would like an estimate please get in touch.